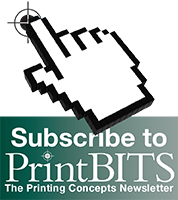 Identify different market segments - Printing Concepts, Inc. The primary goal in your marketing plan includes understanding your customers and satisfying their needs better than the competition. But different customers have different needs, and it’s nearly impossible to satisfy each person by treating everyone the same. When a football coach works with new recruits, they recognize their strengths and expose their weaknesses. This helps them understand what needs to be accomplished to make each player better. Since every player is different, each training approach needs to be different. The same concept works for marketing. Mass marketing categorizes the general public as a homogeneous group, and reproduces the same exact message to every person. This broad approach to marketing isn’t feasible anymore. The needs and preferences of each person are different, and the same approach is unlikely to help and satisfy every person. Target marketing recognizes the diversity of customers and doesn’t try to please everyone with the same incentive. Instead, with changing the message, offer, and/or design, every demographic is represented, increasing the chances they are going to respond to your message. It’s important to remember that your market segments are different enough to warrant a different approach, but similar so they fall under the same promotion.